Abstract, geometric, fractal – whatever you choose to call it, these highly mathematical designs are great to color because there are no “rules” about what color goes where. 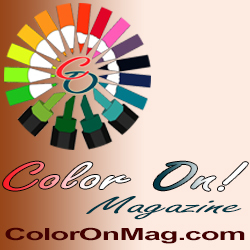 Do you feel like using all shades of a single color? No problem! Do you feel like using every marker you own? Go wild! Not sure what color you want to use? 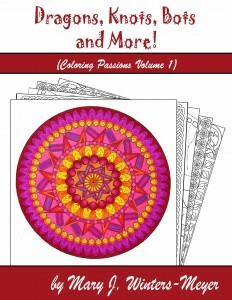 Close your eyes, grab one, and start coloring! Geometric designs don’t have any “reality” that you need to conform to while coloring, so they are great for relaxing, meditative, mindful coloring that doesn’t stress you out. The two artists who contributed designs for this book have very different styles. One style is very complex, detailed and reminds me of the work of M.C. Escher. Patterns morph into each other, geometric shapes recede into infinity, and there are a ton of really intricate details that you’re going to need your finest point markers or sharpest pencils to fill in. The other designs are equally engrossing but with much larger spaces. They would be great for playing with shading and blending. But even there, your choices can really make a difference in the final look of the design. Design Borders: Half have a rectangular border, the rest don’t. Margins vary from 1/4 inch to 1 inch. I really love the designs in this book. 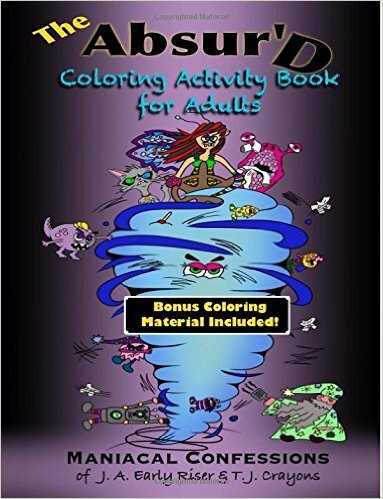 Most geometric coloring books I can take or leave, but flipping through this book, I kept finding more designs I wanted to color. I’ve always been fascinated by geometric shapes and polyhedrons. The optical illusions formed by these designs are a lot of fun. Does this square shape pop out of the page, or recede into the page? It’s so fun to play that game! The other nice thing is that there are some designs that are not just your basic mathematical shapes. Flowers that turn into hexagons, Leafy swirls grow out from a center point. A forest of spirals recede into the distance. Circles of flame beg to be shaded in different colors. In terms of complexity, there are designs I would classify as beginner, but there are also designs that are at the highest level of advanced. So if you’re looking for designs that all fall into a single range, this isn’t the book to get. But if you sometimes like to work with tons of fiddly details, but also occasionally enjoy doing something simple, and you love abstract, geometric designs, you’ll love this book.